Animal Planet’s set an April 6, 2019 premiere date for season four of The Vet Life. The new season will air on Saturdays at 9pm ET/PT and will once again follow the vets at the Cy-Fair animal hospital in Houston. The Vet Life stars Dr. Diarra Blue, Dr. Aubrey Ross, and Dr. Michael Lavigne and is executive produced by Shannon Biggs, Jairus Cobb and Sarah Russell. Dr. Blue and Dr. Lavinge visit a pig rescue and compete for the title of superior pig whisperer. The vets will encounter Pablo the ‘snarting’ goat. Dr. Ross treating an albino ferret named Alexander with adrenal disease. The team will test the health of an owner’s pet Fennec Fox named Rocket and Kinkajou named Baloo. The vets will treat Aubie a sweet Kunekune Piglet rescued from a fraternity house. 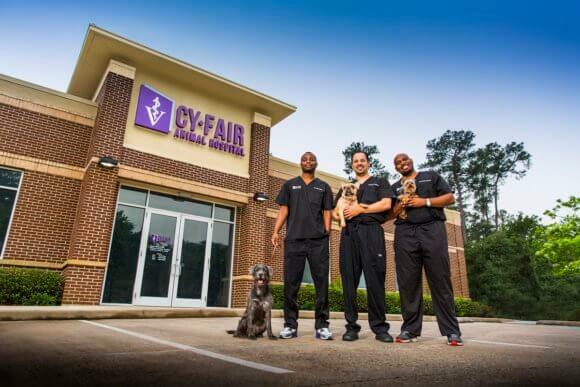 This season, audiences continue to follow the daily lives of the passionate, lovable vets at their Cy-Fair animal hospital in Houston as they encounter fascinating animal cases each and every day. And the adventures grow this season as the doctors open a second animal clinic in the Houston area.